laugh, love, and eat an onigiri everyday. A lesson from an old oak. During our 4 hours of solitude on the campus of the Center for Spiritual Development in Orange County, I thought about what it meant to become oaks of righteousness. As I was wandering around the Center grounds, I came upon a young oak planted by the nuns at the convent. 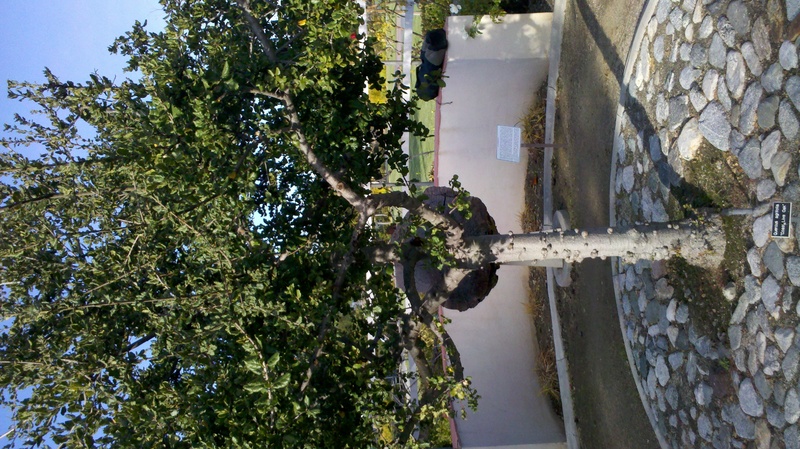 “Twiggy” – a young oak tree at Center for Spiritual Development. 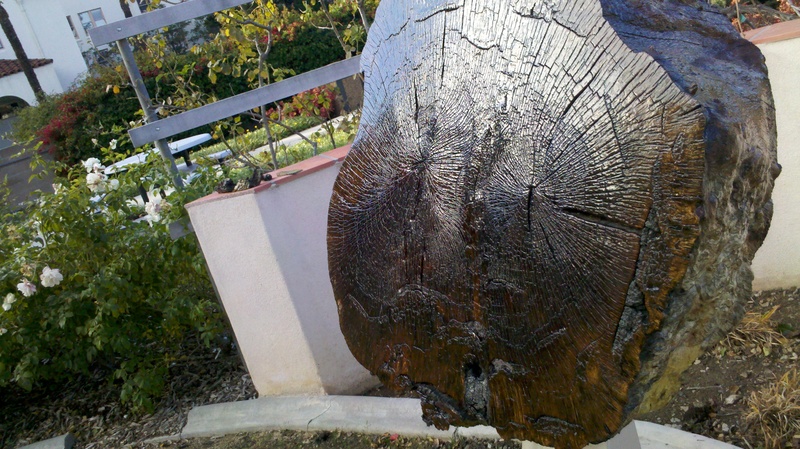 Old oak displayed at the center. 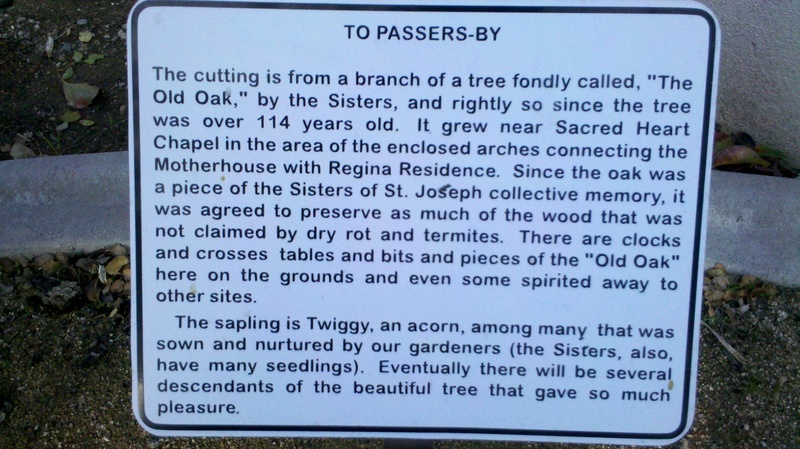 Sign next to the old oak. 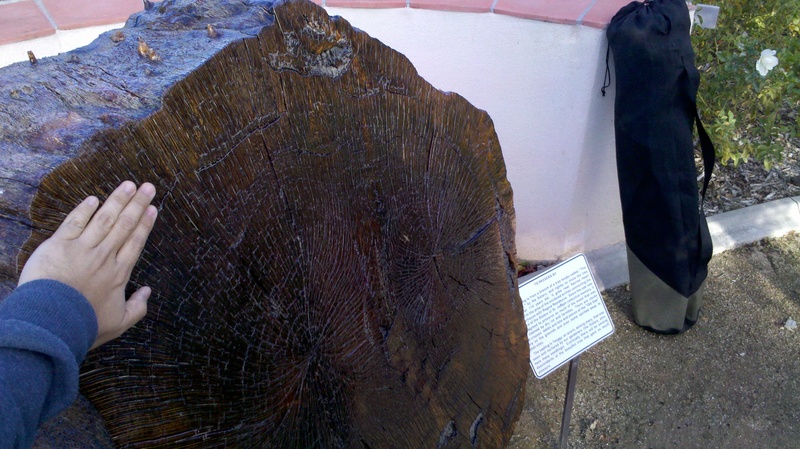 Notice that the sign says this cross-section is only a “branch” of this 114 year-old oak tree. That’s one BIG tree… and old too! I hear that some oaks can live for more than 200 years. That could mean that “the Old Oak” here was only about mid-life! This tree got me thinking… It takes a LONG time to mature. 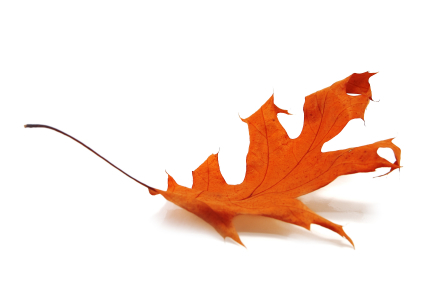 If God is making us into Oaks of Righteousness, it is going to take a while. Often I feel the need to be mature and complete now. I mean, who likes to be young and immature? I’m thinking the author(s) of Isaiah had pretty divine insight into using oak trees as an image of God’s completed people. If oaks can take 200 years to mature, then I’m definitely more like “Twiggy” than “the Old Oak”. 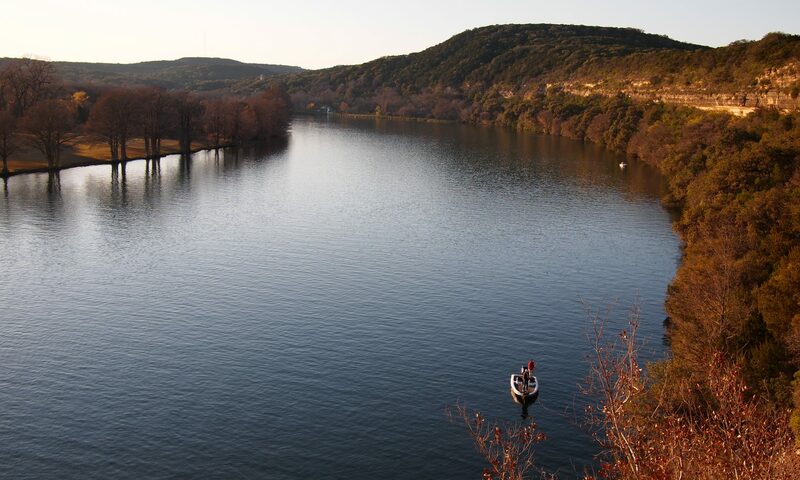 Perhaps instead of becoming impatient that I’m not as wise and mature as I’d like to be, I should nestle in and enjoy the journey ahead. size of the Old Oak’s branch compared to my hand! Growing into an old oak is going to take a long time. I’m allergic to oak trees and we have a huge one in our front yard =(. Oh no! do you get itchy just by walking by it? Great burger last night from little Cheval, plus some snow day video on Hoth. Another good day with the Empire and Rebellion.